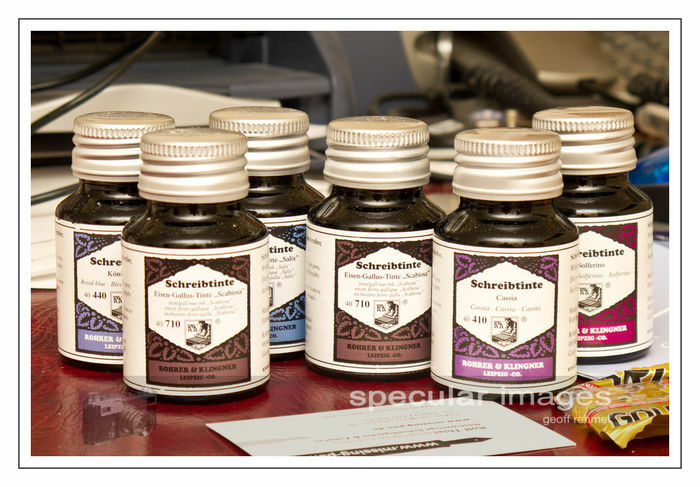 After I couldn't get any Rohrer und Klingner Scabiosa ink at The Writing Desk, I tracked some down (along with other R & K inks) at Rolf Thiel's site, Missing-pen.de. Although the website doesn't allow you to order more than one colour of one manufacturer's ink, and didn't provide international shipping charges, Rolf's responses to emails were almost instantaneous, including his note to state that the inks were going into the mail which arrived almost directly after I made my payment via Paypal. I guess the thing that always causes some trepidation with those of us ordering online from halfway across the world is how well the shipping process will run, and whether we will get our goods intact. 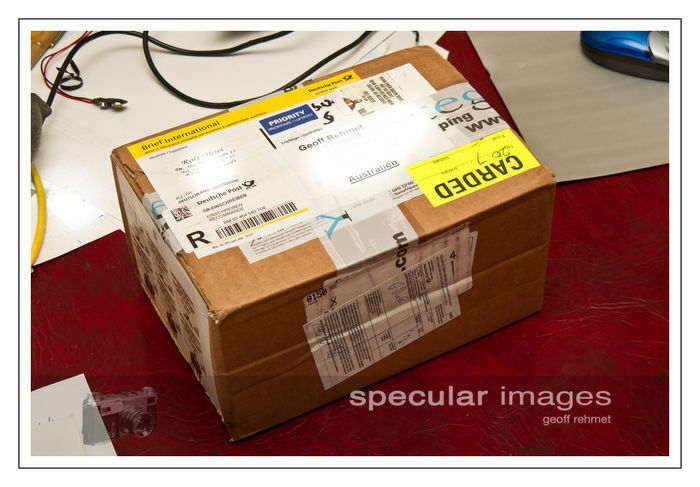 Everything ran smoothly, and the parcel arrived at our local post office just under 6 days after I placed the order. No complaints about the time taken to get from Germany to Australia. 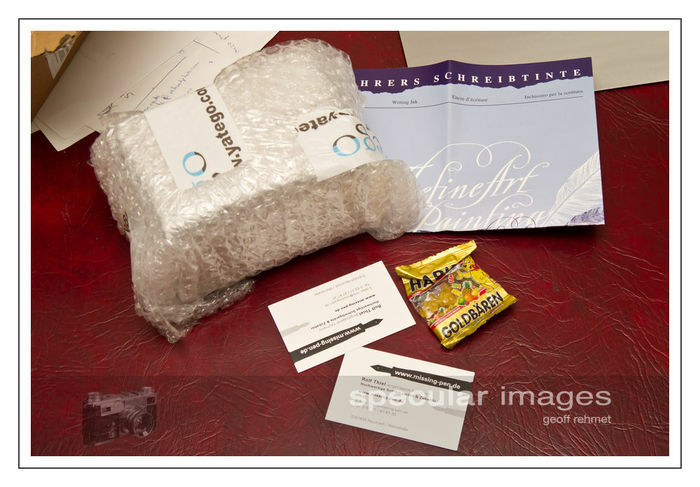 Of course the other question that we all want to know is how the package is packed, so here goes with a couple of unboxing snap-shots. I think Rolf's packaging was perfectly fit for purpose. There was no damage, and the Haribo bears went down like a treat! - My son made short work of them. 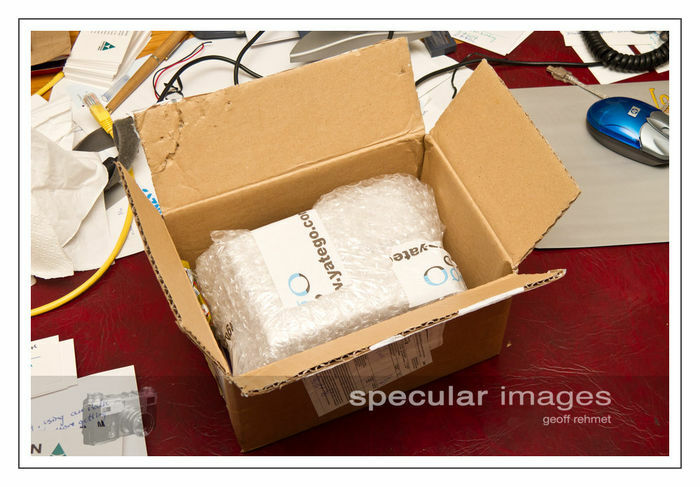 The ink bottles themselves were in two cardboard boxes. I give Rolf's service a resounding thumbs-up, both for his prompt responses and the prompt shipping, with everything arriving intact. Wow! The Gummy Bears alone would be enough reason to order from Rolf! „Haribo macht Kinder froh.... und Erwachsene ebenso!" good thing that with Aldi being in Australia that they also stock Haribo bears! Now, if I could just get decent supplies of ink locally ... but that is another story! I recommend Rolf. I bought several inks from him and the cost of shipping and the inks was less than what I would have paid within the U.S. from MOST places. I got it just as quickly, too. Rolf was great to work with, too. The online shop is indeed really, err, a pain (to put it nicely). It doesn't show all the items Rolf Thiel can offer, and is not really user friendly. But write an e-mail and you get a reply at once. He is very dedicated to satisfy his customers. We have Goulet in the US and Thiel in Europe. I can only agree with what everyone has said: Rolf is awesome! He is super friendly and he responds to every email almost instantaneously. The best method is indeed to just shoot him an email and ask about anything you are interested in. All in all, I'd buy from him again, anytime! Heck yeah, the best part of any my orders from Rolf. Gives me something to snack on while I'm testing new inks. As gmrza discovered, the online webstore isn't the best. But everything can be done with Rolf via eMail with payment via PayPal. I don't think there is an English version. Just send Rolf an e-mail. I agree, Rolf is great. As others have said, I just wish we knew what he had available. I bought a couple M200 nibs from his ebay store because he had a great price on them and cheap shipping. They arrived promptly and in good condition. Thumbs up! I buy my inks from Rolf, too, and I am always happy with the transactions. He replies to my emails very quickly, and he is super nice and helpful. For people living outside of Germany, I'm just wondering though, how are the shipping costs? Are they reasonable? Reasonable. Why don't you just send Rolf an email asking whether he has the ink in stock and how much shipping would be? No obligation in asking that. 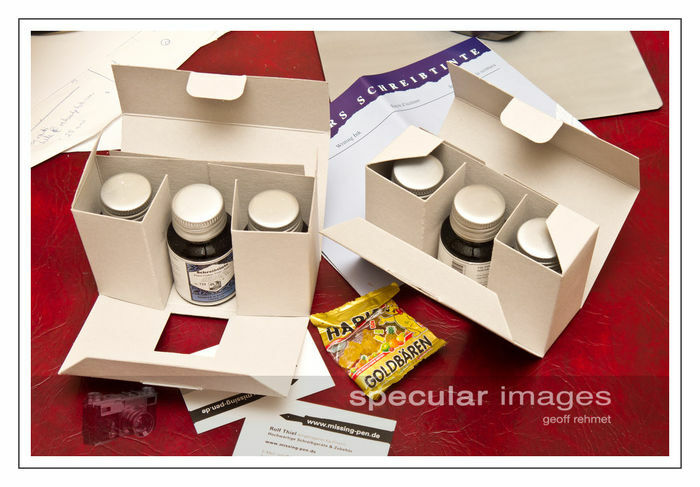 I happened to contact Rolf yesterday afternoon to order some inks - 3 bottles, including an Iroshizuku with that big heavy glass bottle - and he quoted me EUR 10.95 for registered post to the UK. Not unreasonable at all. I ordered a bottle of Stipula Moss Green and Noodler's Apache Sunset. The shipping costs, from Germany to the Netherlands, were very reasonable (below € 5) and the parcel arrived in a perfect condition. As an extra I received some PR cartridges in different colors! Great service! Although Rolf has a webshop, I find it more convenient to mail him (at info@missing-pen.de). As others have said, he is a knowledgeable, friendly person and he replied very quickly to my e-mails. 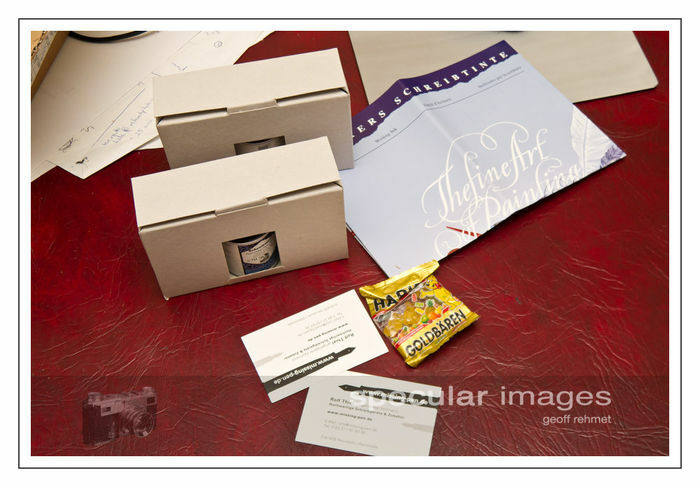 He made it to my shortlist of pen- and ink-suppliers and I'll probably order again from him soon. Very good experience with www.missing-pen.de/ for me too, also on Ebay . Highly recommandable seller . Very serious and professional ! Very nice Diamine Racing Green ink .